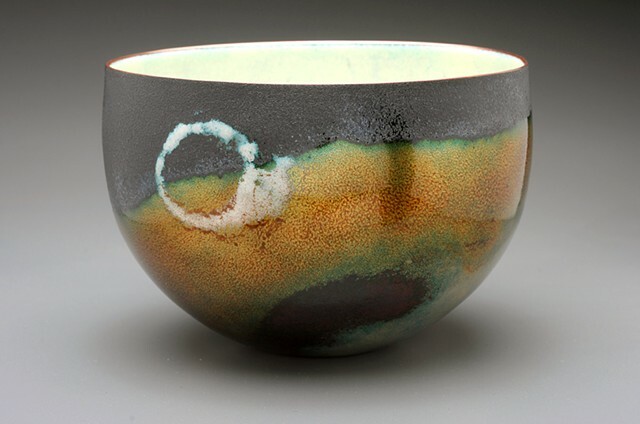 Vessel formed by spinning, and raising, then enameled and carbonized. All of the bowls in the Boiler Bowl series are one of a kind. Hand spun, hand raised, and enameled. there are no two alike. They are a family though, and will carry characteristics from one to the other.